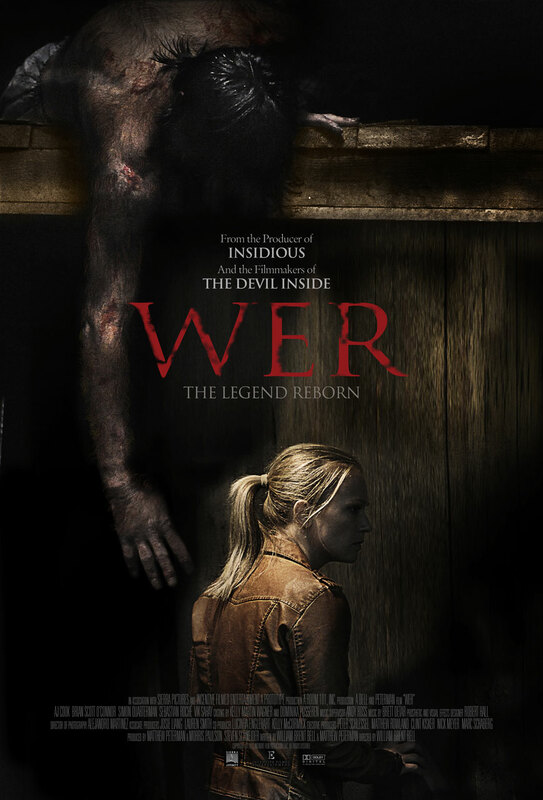 Wer is an upcoming horror film by William Brent Bell and Matthew Peterman. Bell and Peterman previously collaborated on The Devil Inside, which is maybe not the best portfolio showcase, but from what I’ve heard, Devil was pretty gimmicky, and Wer seems very straightforward. You’ve got a grisly double murder, a maybe-not-so-gentle giant of a suspect, a lot of people in suits earnestly seeking justice, and a SWAT team that’s totally not going to survive the climax. Those aren’t complicated ingredients, but if used in the right proportions, I think they can make a satisfying meal. And despite all the blather about porphyria at the trailer’s beginning, it’s clear that this is a werewolf movie – there’s transformation footage, some very lupine jaws, and someone comes right out and authoritatively says “werewolf” by the end. It stars A.J. Cook (who’s tied with Matthew Grey Gubler for second place on my list of favourite Criminal Minds actors, right after my one and only celebrity crush Kirsten Vangsness) and Sebastian Roché, who’s no stranger to acting with monsters on Grimm, Supernatural and The Vampire Diaries. There’s no release date, but if they’ve got a trailer and a poster, it’s a safe bet it’ll be early 2014. Following the brutal slaying of an American family vacationing in rural France, a peculiar man living near the crime scene is blindly charged with their murders. Believing her client is innocent, expatriate American defense attorney Kate Moore [Cook] and her team decide to take a scientific approach in order to prove his physical incapability to local authorities. As she delves into his enigmatic family history, she uncovers evidence that suggests the rebirth of an unexpected legend. When a bloodbath ensues, Kate must do whatever she can to survive the surrounding terror and prevent the chaos from spreading. And below is the poster. What do you think – is this gonna be a straightforward action/horror werewolf film, or will it turn out that Cook’s “suspect” was actually a bear all along, and she was the only person who saw him as a man because of a repressed childhood trauma involving a tragic incident at the zoo?